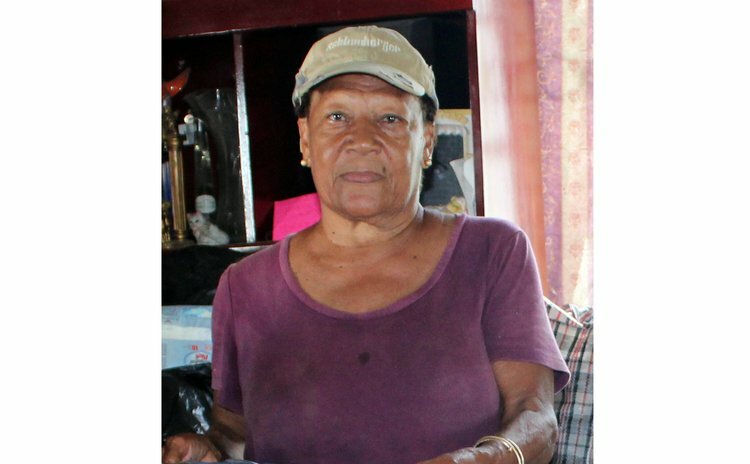 Desiree John, the wife of former Prime Minister Patrick John had a "terrifying and horrible" Hurricane Maria as she battled the category five storm at her home at upper Canefield. Here's what she told the Sun about her encounter with Maria. "It was an experience that I would not like to encounter again. During the passage of Hurricane Maria, I was at home with my sick husband, Patrick R. John, who is bed ridden and an amputee. "I never expected that type of hurricane. It started raining, things just started to happen. "My son Niyaree was home, thanks God, since we would have been dead if he was not around. He worked like a hero while the winds was howling and the rain pouring he braved it all and helped me to board up the windows. "And then things just started to happen quickly. The winds burst in through three glass windows and the house started to flood. It was terrible and rough, no lights, a bed-ridden sick man with an amputee to take care of and ensure that he was safe was just not easy to handle. "The entire house was flooded with water climbing past my ankle…it was dark, we had to save Patrick and I don't know when he (Niyaree) got strength since Patrick is heavy. It must have been Divine intervention and he went to the room where his dad was and placed him at the foot of the bed and he came back to assist me since I was gathering his medical book and medication. "Water was coming in faster than we expected even while Niyaree was telling me to be calm and everything was okay. "Little did he know that the brief calm was the eye because shortly afterwards we went to check Patrick and oh God, it was terrible, he was under a waterfall and unable to do anything; we were just in time and Niyaree single-handedly just lifted him and carried him out of the room to safety." Desiree said moments later a part of the rafter of the neighbour's house came crashing into her house and landed where Patrick John was just removed by his son. "Had it not been Divine intervention and Niyaree, Patrick John would have died because the rafter fell where his head was," she said. "I slept on three steel chairs; three of us just braved it that night with God on our side. It was just not easy, but again thanks to a few young people who came to assist. With all the ordeals that I have gone through in my life and am still going through, that is the worst but with God on my side I survived. "Nothing to compare, Hurricane Maria; with Hurricane David I lost just a few galvanize sheets in my living room. Hurricane Maria has brought out the best and worst out in people and taught you who your real and sincere friends are and some Dominicans have gotten (more) selfish and greedy," she said.